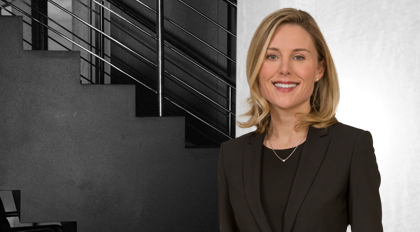 Katherine Lamberth advises financial institutions on regulatory compliance and transactional matters that arise under U.S. banking and consumer financial laws. Her experience includes representing clients in application, supervisory, and advocacy proceedings before state and federal regulators, including the Board of Governors of the Federal Reserve (FRB), Office of the Comptroller of the Currency (OCC), Federal Deposit Insurance Corporation (FDIC), and Consumer Financial Protection Bureau (CFPB). Katherine’s practice focuses on providing regulatory counsel to financial institutions regarding all aspects of their operations, including charter or license applications, mergers and acquisitions, new products and business activities, and compliance and supervisory concerns. In particular, she advises clients on transactional and compliance matters arising under the National Bank Act (NBA), Bank Holding Company Act (BHCA), Federal Deposit Insurance Act (FDIA), and various other federal and state banking laws and regulations. She also advises clients on compliance with federal consumer financial laws, including the Consumer Financial Protection Act (UDAAP provision), Equal Credit Opportunity Act (ECOA), Fair Credit Reporting Act (FCRA), and Truth in Lending Act (TILA), and their implementing regulations. Katherine’s practice also includes advising non-bank companies, including those engaged in financial technology (fintech) and consumer financial services (CFS), on state laws applicable to lending, lead generation, and money transmission. As part of this practice, Katherine counsels clients on licensing requirements and relevant exemptions under applicable state regulatory regimes. Prior to joining Moore & Van Allen, Katherine was an associate at Venable LLP in Washington D.C. Before joining Venable, she was an associate in the Financial Institutions Advisory practice of White & Case LLP, also in Washington, D.C.
Do You Think Banks Are Debt Collectors?